Valve Monitor - Wuxi AFL Flow Controls Equipment E/I Co. Ltd.
ALS series valve monitor (limit switch box) include ALS200, ALS300, ALS400, ALS500 and ALS600 series is designed and manufactured by AFL Group through advanced state-of-the-art engineering technology and its special patent technology, which makes the valve monitor solid, beautiful and functions with optimum. 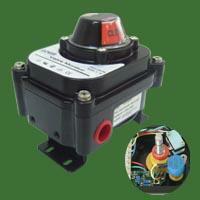 All of the ALS series Limit Switch box fully meet with ISO5211, Namurand IP67 standards. 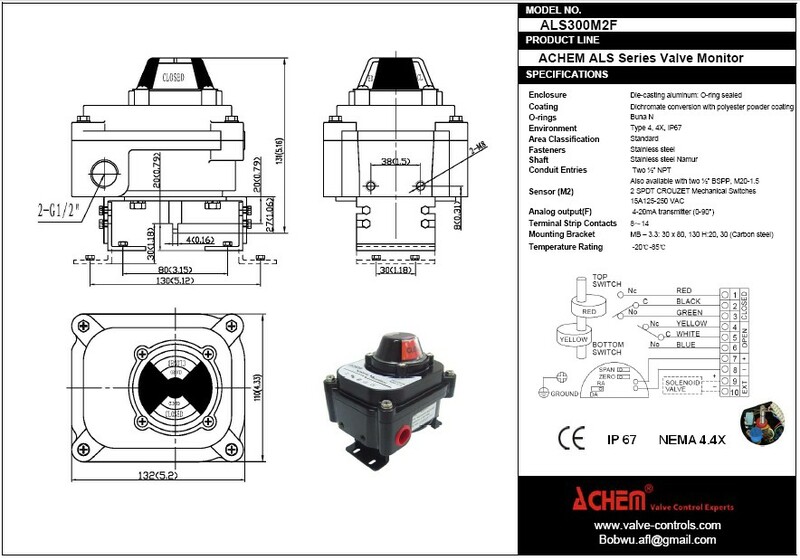 The mechanical switch, proximity sensor, magnet sensor, ASi sensor and DeviceNet sensor are all available in this ALS series. Based on 94/9/EC of 23 March, EN13980, EN60079-0:2006 and EN60079-1:2004 production standards, ALS 400/500/600 series flame proof limit switch box / valve monitor is certified for use in hazardous areas (Class I, Div. 1&2, Group A, B, C and D, Ex d IIB T6, Ex d IIC T6)). Because of the stainless steel (304/316/316L) enclosure, ALS600 series offer excellent resistance to most corrosive chemicals as well as hazardous industrial atmospheres. As a professional manufacturer and exporter of the flow control products in Shanghai area of China, AFL Group has endeavors ourselves to provide the best quality products to our customers. Based on the certifications from international standards listed above, you can surely buy excellent valve monitor from us. Please feel free to contact us if you’re looking for this item!